As I have mentioned a number times in my local property market blog, with not enough new-build properties being built in Canterbury and the surrounding area to keep up with demand for homes to live in (be that tenants or homebuyers), it’s good to know more Canterbury home sellers are putting their properties on to the market than a year ago. 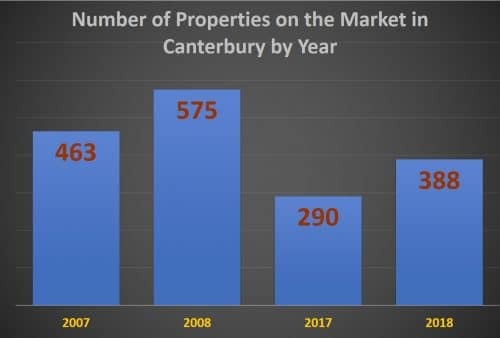 At the start of 2007 there were 463 properties for sale in Canterbury but by May 2008, when the credit crunch was really beginning to bite, that number had risen to 575 properties on the market at a time when demand was at an all-time low, thus creating an imbalance in the local property market. Basic economics dictates that if there is too much supply of something and demand is poor (which it was in the Credit Crunch years of 2008/9) … prices will drop. In fact, house prices dropped between 15% and 20% depending on the type of Canterbury property between the end of 2007 and Spring 2009. However, over the last five years, we have seen a steady decrease in supply of properties coming onto the market for sale and steady demand, meaning Canterbury property prices have remained robust. A stable housing market is one of the foundations of a successful British economy, as it’s all about getting the healthy balance of buyer demand with a good supply of properties. Nevertheless, if you had asked me a couple of years ago, I would have said we were beginning to see there was in fact NOT enough properties coming on to the market for sale … meaning in certain sectors of the Canterbury property market, house prices were overheating because of this lack of supply. There were 290 properties for sale 12 months ago, and today that stands at 388. Definitely a step in the right direction to a more stable property market. Even better news, since the Chancellor announced the stamp duty rule changes for first time buyers (FTB), my fellow agents in Canterbury say that the number of FTB’s registering on the majority of agent’s books has increased year on year. That has still to follow through into more FTB’s buying their first home, however, with the heightened levels of confidence being demonstrated by both Canterbury house sellers and potential house buyers, I do foresee the Canterbury Property Market will show steady yet sustained improvement during the first half of 2018. 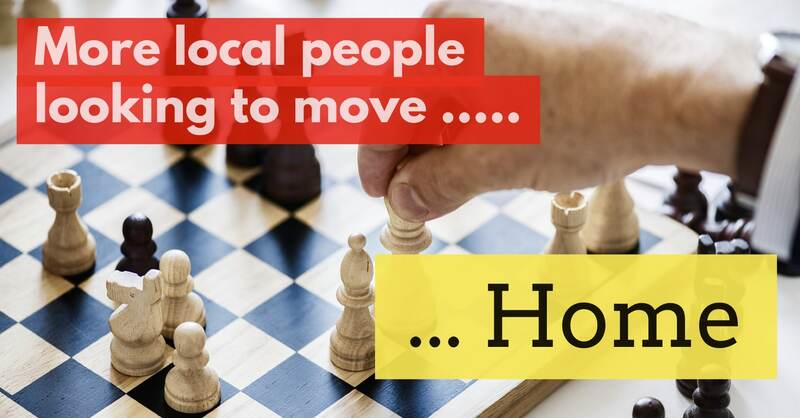 What does this mean for Canterbury landlords or those considering dipping their toe into the buy to let market for the first time? Landlords will need to keep improving their properties to ensure they get the best tenants. It is true that demand amongst FTB’s is increasing, albeit from a low base. Even with the new landlord tax rules, buy to let in Canterbury still looks a good investment, providing Canterbury landlords with a good income at a time of low interest rates and a roller coaster stock market. If you are thinking of investing in bricks and mortar in Canterbury, it is important to do things correctly as making money won’t be as easy as it has been over the last twenty years. With a greater number of properties on the market .. comes greater choice. Don’t buy the first thing you see, buy with your head as well as your heart … and don’t forget the first rule of Buy To Let Investment …..